If after years of struggling with your weight and obsessing about food, you have decided to give Overeaters Anonymous a try. You will find an OA meeting in your area by checking Find-A-Meeting. When you arrive at the meeting, you will meet men and women who share our common struggle — compulsive eating — and have found a common solution: the Twelve Steps and Twelve Traditions of Overeaters Anonymous. There may be from three to 30 or more people at the meeting. An average meeting has about nine. You will be warmly welcomed. The meeting usually opens with the Serenity Prayer, and several other readings which describe the disease of compulsive overeating and the Twelve-Step solution. All OA groups seek recovery on three levels — physical, emotional and spiritual — and the only requirement for membership is a desire to stop eating compulsively.You may hear a speaker share on their experience, or someone might read from various books or pamphlets. Once the main topic is covered, members will share their experience, strength and hope. You will have an opportunity to introduce yourself, if you like. Because anonymity is a critical principle of the OA program, you can be sure that what you say will be held in confidence. This provides the safety you need to share your experiences honestly. You may recognize your own story when you listen to others share. Listening will help you find members who have what you want, whether it be weight loss, clarity, joy in achieving and maintaining a healthy body weight, or freedom from the obsession of self-destructive eating behaviors. You may want to ask someone you can identify with to be your sponsor. A sponsor will share the experience, strength and hope they’ve found in Twelve-Step recovery and help answer the questions you have about the OA program. Please don’t hesitate to ask anything. You may need to attend several meetings before you find a sponsor. When members share, you may hear them refer to a Higher Power or to God. OA does not subscribe to any specific religious ideology. It is a program that practices spiritual principles, and members individually approach these principles with a Higher Power of their understanding. Although some members are religious outside of OA; religion is NOT part of the OA program. A contact list may be passed around for all to sign their names and phone numbers, so people can offer each other support between meetings. You are not required to sign the list. If you do, however, someone from the meeting you attend may call you to ask if you have any questions about the program. You are welcome to take phone numbers if you want. 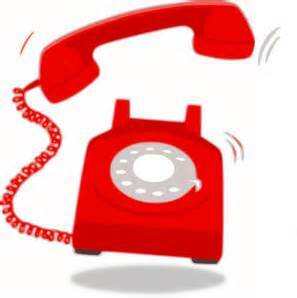 The telephone is an important tool in OA for getting and giving support and reminding you that you are not alone. Meetings usually last between one and one and a half hours. Before and after the meeting, feel free to speak with the members and pick up some OA literature to help you learn about the program. Ask a member what they would recommend to get you started. If literature is not available at the meeting, you can order directly from the OA bookstore. Because OA is self-supporting through member contributions, a basket will be passed for contributions. The money is used to pay group expenses such as rent, literature and to help support OA’s service bodies. The meeting will close with the Serenity or other program prayer, usually followed by hugs and greetings among the members. It is suggested that you attend at least six meetings to learn the many ways OA can help you. If you find that the meeting you attended does not feel right, try a different group. The material on this web page is copyrighted by and reprinted by permission of Overeaters Anonymous, Inc.